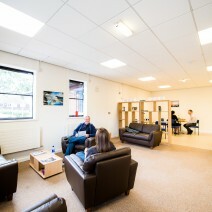 The Enterprise Centre provides affordable ‘all-inclusive’ rentable office space to new and existing businesses alongside offering business advice and support to local people. 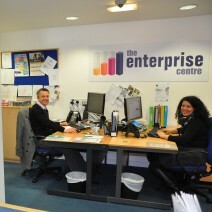 The centre opened in 2011 as the next exciting phase of the Groups award-winning Enterprise Support Project. Highly commended nationally and the 2010 regional winner of the North-West Enterprising Britain competition, also runner-up in the 2012 Regeneration and Renewal Awards, the project has helped over 220 businesses to start in Wythenshawe since it began in 2005. The initiative has had a massive impact in changing the lives of people within the local area with 59% of businesses set-up by people previously unemployed, which has created over 285 jobs and assisted in the development of the local economy. The centre also provides training courses, rentable meeting/training room facilities and networking opportunities with an on-site Business Advisor providing free professional advice and support to office tenants and local residents.